This week on the Garage we talk with Ray, Nick and Scott about the EMS Compass project, and what national performance measures mean to you on the street. Oh and we’re back with our humor and enlightened ideas of how EMS should really be operated. Recording from the FDIC conference 2015 Host Chris Montera is joined by 2 guests with an international perspective on ambulance design and safety. In this episode A.J. Heightman Editor-in-Chief of JEMS talks with Industry leaders about Ferno and Vision 2020 See the videos and more on https://www.youtube.com/user/fernoems. Joining AJ is a great list of panelists. One of the most controversial topics in the world of EMS today is whether or not we should arm EMTs and paramedics or rather, should we allow those who possess conceiled carry permits carry on the job? And furthermore, in whose hands should this decision rest in? Lawmakers? Department leaders? The individual? This week, Scott turns over the podcast to the Geekymedic Chris Montera and Sean Eddy which allows the pair to engage in a spirited debate on the utlimate question: should we arm them? Also, stay tuned after the closing music for a little nugget from the cutting room floor. . . 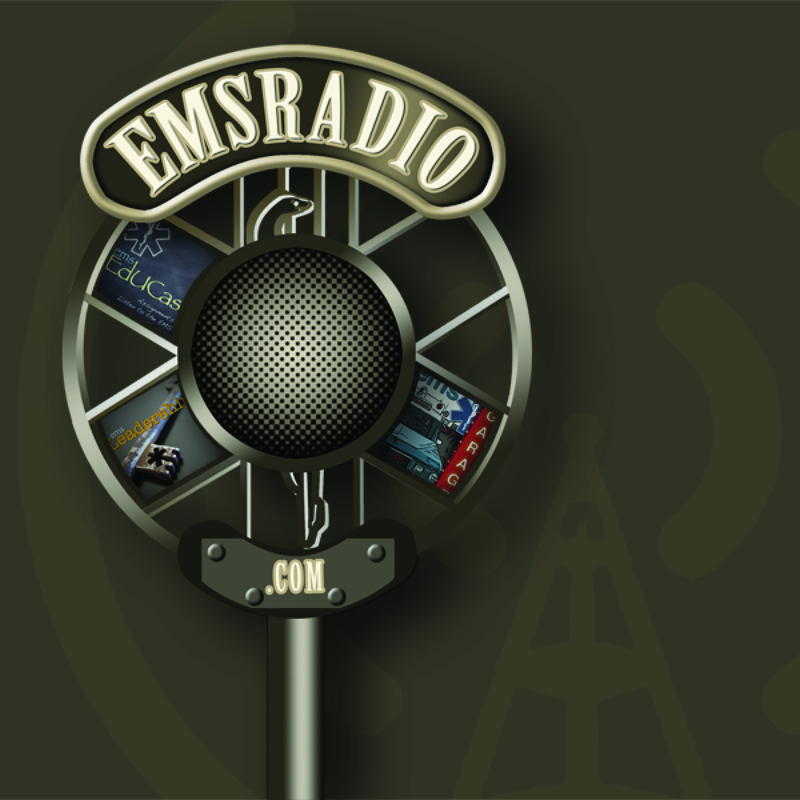 In this finale episode from EMS Today 2014 in Washington, DC, EMS Garage host Chris Montera is joined by MedicCast host Jamie Davis, the Podmedic for their conference wrap-up finale episode. In this episode they each pick a product innovator for the show and also talk about what they hope to see at the next conference from the folks at JEMS and PennWell. Among the product picks are two British products moving to the US from UK EMS services. First, Jamie has on the Mangar Elk, an airbag based patient lifting device to save EMS provider’s backs from lifting and patient moving injuries. The device is easy to setup and easy to use but a single provider or a pair of providers. Also coming on the show is a unique pediatric restraint device that can be quickly attached to any cot, covers children of various sizes and also comes from the UK. The folks at Quantum-EMS brought this tool in to share the tool already being used all over England and many other parts of the world. 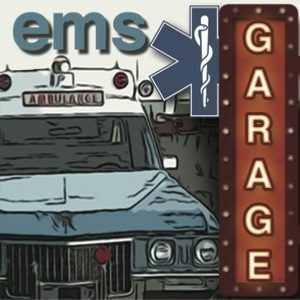 EMS Garage Episode 183: EMS Today 3 Paramedics Diagnose! In this special segment recorded at EMS Today 2014 in Washington, DC, EMS Garage host Chris Montera is joined by three guests to discuss a controversial issue, does EMS need local medical directors any more? Joining Chris are paramedic and educator Kelly Grayson and EMS medical directors Dr. Keith Wesley and Dr. Jeff Myers. Stay tuned here for more segments from EMS Today and a special thank you to PennWell, JEMS, and Physio-Control for sponsoring our podcast studio at this event. In case you missed it. Today Ferno announced the COOLEST product to hit the market in years. The iNX is a patient transport system. This is not your ordinary COT. No it is the way we will make EMS future proof. This product culminates years of research. Ferno is truly leading the way in this area. Guess what fans, this cot locks into our normal cot interface and will reduce your lifting to ZERO. Yes…zero. I have used this cot and it works flawless. I am truly impressed with what Ferno has done for us in the EMS industry. In this episode of the EMS Garage Podcast hosts Chris Montera and Anne Robinson Montera are joined by EMS educator and researcher Baxter Larmon from UCLA. Also on the panel is Carissa Caramanis O’Brien health care social media expert and consultant, as well as director of social media for Aetna. Baxter talks about the impetus to improve healthcare for the people of California with an initiative to add a community paramedic or mobile integrated healthcare program to that state’s EMS laws. Carissa also brings up how using social media channels to listen to voices for change in healthcare. While channels like Twitter are limited to pushing out 140 characters in a post, there are many more words that can come back in response to a post and these various voices and points of view provide the information to give direction to change. EMS Garage guest host Scot Kier (@MedicSBK and MedicSBK.com) comes in to fill in for regular host Chris Montera for the first of three EMS Garage episodes at EMS Today 2014 in Washington, DC. Scott is joined by an illustrious and knowledgable panel including EMS Attorney Steve Wirth, EMSBlogs.com founder Dave Konig and EMS Blogger Kelly Grayson from AmbulanceDriverFiles.com. Never one to shy away from tough topics, Scott kicks off the discussion with a look at why EMS providers make such mistakes with the way they document their ambulance calls. An important discussion to protect the paramedics and EMTs legally as well as take the best possible care of the patient by sending along an accurate patient report to the hospital when you transport. Terry Gregg, CEO of Dexcom, chats with Chris Montera about the new continuous glucose monitoring system from Dexcom debuting at the International CES conference earlier this month in Las Vegas. The Dexcom G4 Platinum glucose monitor is the all-new Continuous Glucose Monitor featuring an extended 20 foot wireless range, glucose trends on a video monitor in vibrant color and a sleek and small receiver available in three colors – Classic Black, Ocean Blue, and Tickled Pink. Continuous glucose monitoring is important for diabetes patients because their bodies lack the ability to monitor and regulate their glucose levels on their own. With the new “Share Cradle,” the uses can insert their wireless monitor for charging and also upload their monitoring data on their connected mobile device to up to 5 people. These can be family caregivers like a parent or adult child as well as health care professionals caring for the patient. The follower app allows those care givers to see what is going on with their loved one in real time via the direct connection with the continuous blood glucose monitor.